Many of our clients have a spinal cord injury and rely on the use of a wheelchair to access the out-side environment and lead independent lives. Therefore if you have become injured recently, I consider how inclusive our cities are both in the UK and abroad for people with physical disabilities. I also consider what you can do if you encounter a lack of suitable access. The head of the Spinal Injuries Team, Raquel Siganporia, has a spinal cord injury and is a wheel-chair user. Whilst this obviously gives Raquel a unique insight into the difficulties with disabled access in the city we work in, it has given me a pretty good idea as well. 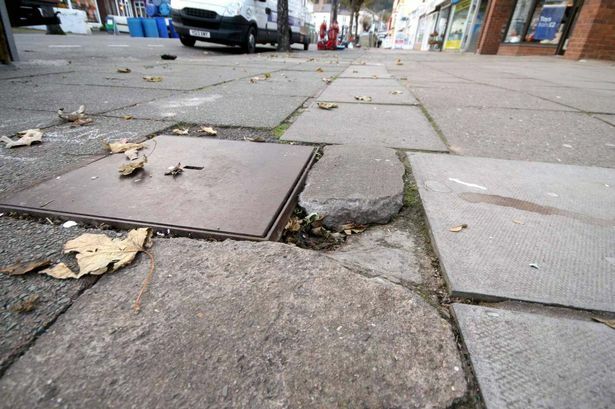 The streets around our offices in Islington, London have several potholes, raised paving slabs and broken pavement. That doesn’t even take into account the cobbled backstreets and the so called “dropped curbs” which are not flush with the road, making them difficult to use safely. This makes getting around in the mile radius from our offices difficult, and sometimes dangerous. There is a higher level of planning involved in going to a meeting with Raquel. The simplest things that you or I wouldn’t have to consider, can add an extra 5- 10 minutes on each journey. For example you may need to allow extra time to get somewhere if you have to use lifts, avoid certain unpaved streets or need to book a wheelchair accessible taxi. These are simple solutions that Raquel takes every day when accessing the outside environment. But what if she wanted to venture further than the one mile radius of Islington? If we travel by train you have to book assistance at the train stations at least 24 hours in advance of travel. This is to ensure that the ramps are made available for accessing the trains and that there is a member of staff available to assist you on and off the train. This is fine for booking travel for meetings that are booked weeks in advance when you know you will need assistance. But say you want to pop to see a friend for the afternoon on a whim, how do you arrange your assistance on the train? The reality is that you would be chancing matters and may not be able to travel. It takes the spontaneity out of being able to travel when you need to use public transport to do so. Some rail companies now say you can book the assistance online at the same time as buying tickets; I have tried this and it hasn’t worked. This then means you are on the telephone for, often, a long time (on occasions, over 30 minutes) so you can speak to someone to book the assistance or to check your request has been processed when you do not receive the confirmation email. Unfortunately, the reality is that around 50% of my journeys with Raquel has resulted in the pre- booked assistance not being available despite doing everything we were told to do, including arriving 30 minutes before the train departed. On one occasion when travelling by train with Raquel, we arrived at our destination station. We had pre-booked assistance but there was no one waiting with the ramps to assist Raquel off the train. I had to stand with one foot on the train and one foot off, trying to get someone’s attention before the train departed from the station with Raquel still on it. If Raquel, or anyone else with a disability, had been on their own on the train, then they would not have been able to get off at their destination. This takes the away the ability of disabled people to travel safely on public transport independently. It is worth noting that with the correct wheelchair access, Raquel is more than capable of being independent and doesn’t need to rely on society to assist. It is only when there is a lack of access, that she becomes dependent on others and effectively more disabled. And what about social occasions? You don’t just have to check that the venue has wheelchair access, or accepts guide dogs or has a hearing loop for concerts, lectures or shows; there are other things that need to be taken into consideration, such as a wheelchair accessible toilet. Even then, there can be difficulties. I have been out with another friend that is a wheelchair user, at a venue that said it had a wheelchair accessible toilet, to discover that toilet was used as a cleaning storage cupboard and the other toilet was down a flight of stairs. I recently went on a work ski trip to Slovakia, with 10 of my colleagues, including Raquel. We stayed in a great hotel, which was fully wheelchair accessible, with adapted bathrooms. Despite the good access, we were informed by the hotel staff, Raquel was the first wheelchair user to stay at the hotel. The gondola was also accessible. The resort staff slowed down the gondola to allow Raquel to get on in her wheelchair, and with the help of a few colleagues, Raquel got up the mountain. However, outside of large hotels in the area, none of the buildings we visited were accessible and we had the same issues as when we were in the UK; a lack of wheelchair accessible taxis (though we had a very helpful taxi driver on hand), roads with potholes and no street lighting, and a lack of pavements around the resort. Which, added in with the snow, made for some interesting journeys for dinner and lunch. Overall, wheelchair access in Slovakia was worse than it is in the UK, but should this make us grateful for the better, albeit limited access in the UK? Raquel went on the ski trip to Bulgaria in 2015 and experienced similar and, due to higher levels of snowfall, worse access issues than we did in Slovakia. As Raquel commented in her recent TEDx talk at University College London, access is the biggest barrier she has faced in her adult life. Why should someone with a disability come back to the UK from a country like Slovakia or Bulgaria where the access isn’t as good as the UK, and feel lucky because 20% of the UK is accessible? Raquel, and all of those with disabilities, want to feel equal. And that means 100% access for all. Does the Equality Act 2010 protect disabled people in practice? The Equality Act 2010 makes it unlawful to discriminate against people in respect of their disabilities in relation to employment, the provision of goods and services, education and transport. However, despite the existence of the Equality Act it remains difficult to change the cities we live in, as well as the buildings we work in and the streets we use to get around. Many of these obstacles have existed a lot longer than anti-discrimination legislation. The House of Lords Select Committee on the Equality Act 2010 and Disability released its report on 24 March 2016. The committee looked at the impact of the Equality Act and consulted disability charities, disabled people and businesses. The report commented that the laws designed to outlaw discrimination “simply aren’t working in practice”. It highlights access difficulties with public transport, sports stadiums and other public buildings, noting that these were all barriers to independence. The report stated that many of the people who provided evidence to the committee had suffered transport nightmares, either because of poorly adapted stations or poorly adapted vehicles. The report found that seven stations on the new Crossrail network were due to open without step free access. This has now been rectified, however the report recommended that step free access should be required for all new stations. Further, it found that taxi drivers were not obliged to take passengers in wheelchairs and that this needed to change. The report recommended that the penalty for venues and vehicles that breach their obligations under the Equality Act could be the removal of the licences. This would act as an incentive for business owners, and local government, to improve the ability of those with disabilities to access services. suggesting that local authorities amend planning policy to require new buildings to be wheelchair accessible or adaptable. The Equality Act does not make it law that these recommendations have to be actioned now. Whilst most people who experience this discrimination do not require a further change in the law, until the recommendations are put into practice, those with disabilities will continue face barriers to accessing public and other services on a daily basis. The Equality Act simply does not go far enough to ensure that it does what it sets out to do; ensure equality. Why is this? What can you do if you have been discriminated against? The difficulty with trying to enforce your rights under the Equality Act is that it fundamentally lacks teeth. If you are successful in showing that an organisation breached the Equality Act the main legal remedy is compensation, i.e., a monetary award for your ‘hurt feelings’. In short, a judge cannot order that the premises be adapted to ensure it is accessible even if he has found the organisation to be in breach of the Equality Act. The organisation does not therefore have to remedy its breach of the Equality Act and ensure it is accessible for people with disabilities. Jonathan Fogerty, a solicitor and wheelchair user, has had some success in taking his local eating establishments to Court for breaches of the Equality Act. Jonathan’s experience is that some service providers will do anything to get out of a complaint against them. So what can you do? They may be willing to make the necessary adaptations to ensure that people with disabilities can use their services. It is possible that they did not know where to begin and need a steer on what would and wouldn’t be suitable. Informal discussions may not get a satisfactory result. Or, the business owner may make an excuse for why they cannot make the necessary changes. If this occurs, make a formal complaint to the business. Jonathan has heard a range of excuse in response to his complaints. Organisations often cite the Local Council as being the reason why they cannot implement access. Jonathan advises that you have to remember “it has nothing to do with the Local Council. It is the service provider’s responsibility to make sure they comply with legislation.” If the service provider blames the council, Jonathan recommends that you ask for copies of the letters that have been written between the parties. If a formal complaint still does not achieve the result you are looking for, you could try using an independent mediator to solve the dispute. This may assist but if all else fails, you could take the service provider to Court. More information and guidance on how to take a business to court for discrimination. Jonathan himself has had to do this. Jonathan has settled many of these cases out of Court. However, there have been a few which have proceeded to a Court hearing. On at least two occasions it was found that there had been a breach of the Equality Act and Jonathan was awarded compensation, known as ‘Damages’. Whilst Jonathan received compensation, as explained earlier, the judge was not able to do anything to mandate or enforce the companies to rectify their breaches of the Equality Act and make their premises accessible. Jonathan reflects on two of these success cases. One success relates to an inaccessible pizza takeaway shop and the second, to an inaccessible restaurant. It is shocking that the restaurant remains inaccessible even after the court found that the owners had breached the Equality Act. Jonathan could go back to the restaurant, be unable to access the building and take them to Court again; but will this change anything? The problem is, there is nothing anyone can do under the current legislation to force organisations to make the premises accessible. As long as this remains the case, obstacles and barriers will remain for people with disabilities even when they invoke the court system to enforce the law. The Government may be taking steps rectify some of the problems with the Equality Act, but how long will it take for them to be put into practice? It is crucial that disabled people make better use of the powers that are available to them under the Equality Act to tackle discrimination, but it is of little surprise that so few do when the powers under the Act are so weak.